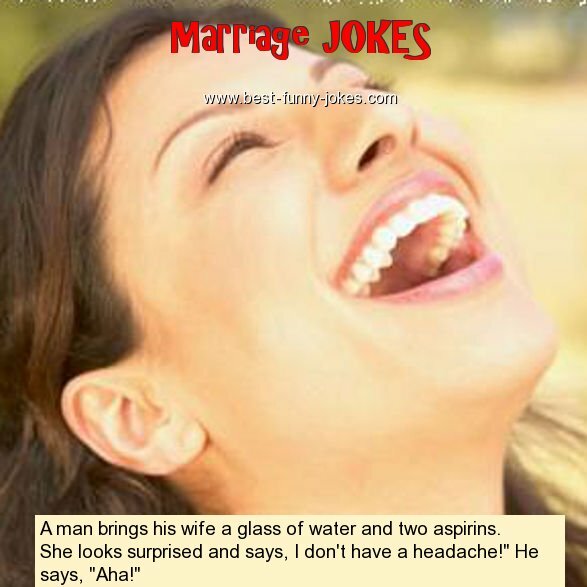 A man brings his wife a glass of water and two aspirins. She looks surprised and says, I don't have a headache!" He says, "Aha!"